LEAD JUDGMENT: EJEMBI EKO, J.S.C. This is an appeal against the decision of the Court of Appeal sitting in Abuja. The Appellant was the Plaintiff in the suit No. FHC/ABJ/CS/1115/2014 he had brought on the Originating Summons at the Federal High Court, sitting at Abuja FCT. The cause of action arose in Alkaleri/Kirfi Federal Constituency in Bauchi State, from the primary election to nominate the candidate of the All Progressive Congress (APC), the 2nd Respondent, to contest at the general election for a seat at the House of Representatives wing of the National Assembly. The Appellant claimed that he won the primary election of the APC conducted at Alkaleri, the headquarters of the said Alkaleri/Kirfi Federal Constituency, with the majority of lawful votes; that he was issued the Statement of Result, duly signed by the Chairman and Secretary of the 2nd Respondent, APC’s, primary Election Committee, and that the 1st Respondent (herein) who contested in the primary election against him disputed his victory, claiming, that he, and not the Appellant, was the actual winner of the primary election. The Appellant, as the Plaintiff, further averred that the 2nd Respondent, APC (his party) ignored his victory, and instead submitted to the independent National Electoral Commission, INEC, (the 3rd Respondent at the Supreme Court), the name of the 1st Respondent as its candidate for the general election in Alkaleri/Kirfi Federal Constituency. 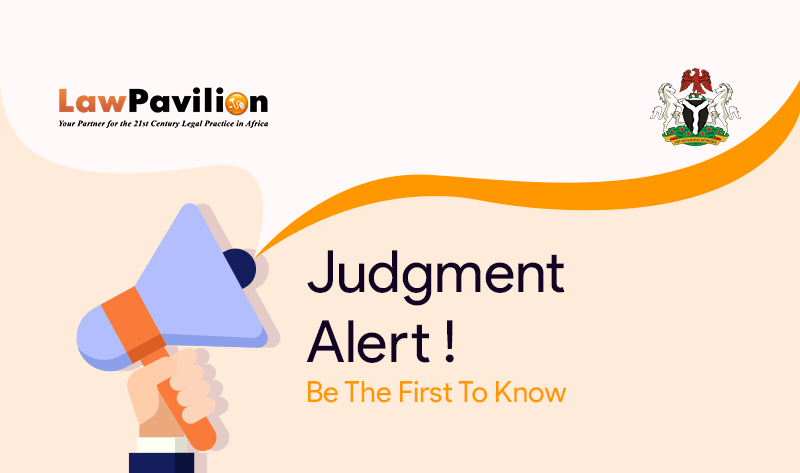 The Respondents, as the Defendants at the Federal High Court, all vehemently denied the assertions of the Plaintiff/Appellant. The 1st & 2nd Respondents, corroborated by the 3rd Respondent (INEC), had alleged that the Plaintiff/Appellant; before the actual voting at the primary election, had in his possession unlawfully sensitive electoral materials; and that he had violently disrupted the gathering of the delegates for the primary election. And further that after he had disrupted the election, the Appellant emerged later and presented result sheets whereon he had unilaterally declared himself the winner of the primary election. The Respondents further averred that subsequent to the disruptive conduct of the Appellant the delegates were re-assembled, with the security at the venue beefed up and that the election thereafter proceeded peacefully and orderly, and that the 1st Respondent, at the conclusion of the election, was declared the winner of the election and the candidate of the APC for the said Alkaleri/Kirfi Federal Constituency. On this state of hostile facts to the assertion or contention of the Plaintiff/Appellant, the suit was nonetheless heard on the Originating Summons.